Saying it would prove disastrous to the local economy and schools, the county commissioners on Monday, Sept. 24, voiced strong opposition to Proposition 112, a measure on the Colorado ballot in the November general election. 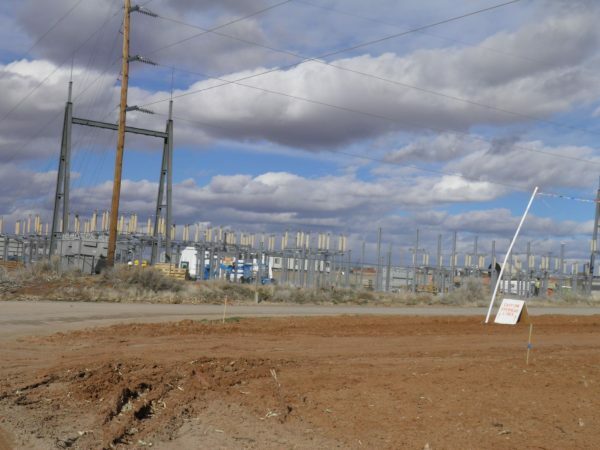 The commissioners unanimously voted to pass a lengthy resolution against the proposition, which if passed by voters would greatly restrict new energy development in the state. The setback requirements do not apply to federal lands or to existing oil and gas wells. However, reviving abandoned wells would be considered new development and the setback requirements would apply. Current setbacks for wells are 1,000 feet from high-occupancy buildings such as schools and hospitals and 500 feet from occupied buildings such as homes. The commissioners allowed public comments regarding their proposed resolution, though they said they were not conducting a public hearing. M.B. McAfee of Lewis, who is running for a seat on the county commission, questioned several aspects of the resolution while saying she was not speaking for or against it per se. She raised the issue of transparency because the full resolution had not been made available publicly prior to the meeting, although it was displayed on a viewscreen during the discussion. “When you’re allowed to speak about something, that would be called transparency,” said Commissioner Larry Don Suckla. Suckla said Proposition 112 had come up at recent debates for the county-commission candidates and that McAfee had voiced her support for Proposition 112. “What would be the difference?” he said. But McAfee insisted it wasn’t appropriate to include language telling people how to vote within a resolution and if the commissioners wanted to encourage people to vote against 112, they could do it in a newspaper column or on the radio. Jim Candelaria, who is running for the same seat on the commission, then noted that the events that had been held for the candidates had been forums rather than debates and he had been asked the same question about Proposition 112. He said he supports the commissioners’ resolution “because of what this proposition is going to do to us in Colorado.” He added that 2,500 feet is an arbitrary number. Christi Zeller, executive director of the La Plata County Energy Council, said she had written the resolution and urged the commissioners to pass it. She said Proposition 112 would virtually shut down future oil and gas production in the county and estimated it would be a loss of $6 million to the annual budget. She said schools will probably be the most impacted. Eighty-nine percent of Colorado’s total production of carbon dioxide comes from Montezuma County, she said. “I highly support making people understand how devastating this will be for Montezuma County,” Zeller said. Dexter Gill of Lewis said the proposition constitutes “a total violation of personal property rights of individuals and corporations in the state of Colorado” and that it would be destructive to the local economy. County Planning Director LeeAnn Milligan said there are many mineral owners in the county and they have a right to be able to profit from their mineral ownership. She said the detrimental effects of carbon-dioxide production are minimal compared to oil and gas development. He said although the measure doesn’t apply to federal lands, he expects the federal agencies would begin applying the restrictions anyway. But Ellen Foster of Dolores, noting Lambert’s comment about protecting county residents, said, “A lot of people who live within 500 feet of a well site don’t feel they have been protected.” She reminded the board of a 2017 explosion resulting from an uncapped natural-gas line in Firestone, Colo., that killed two people. She said she would not want a well site within 500 feet of her home. “They can put one 20 feet from my house!” responded Suckla. “I think oil and gas in this state is making every effort they can possibly make,” Ertel said. Foster said not every company does the same thing. “It has to be financially feasible,” Ertel said. Suckla said Kinder Morgan, the carbon-dioxide giant operating in Montezuma County, had donated 24 laptops to an area school. “The haters of Kinder Morgan – how much do they donate to the schools?” he said. “I haven’t given a single one,” Foster said. “That’s my point,” Suckla responded. Foster said quality of life is an important part of property values and proximity to an energy operation could lower the value of one’s home. Foster asked whether emotional issues should never be considered. “So everything should be decided on money?” she asked. She said a study in Garfield County had found detrimental health impacts resulting from energy development. But Suckla said that was debatable and that the benefits to Garfield County from additional revenues – such as paved roads and a flourishing hospital – would outweigh negative impacts. Gala Pock of Lewis said if the oil and gas industry were sincere about working with landowners and mitigating detrimental impacts, it would not be so resistant to new regulations on methane. That prompted a discussion about the methane “hot spot,” a concentration of the greenhouse gas that hovers over the Four Corners. Lambert said the hot spot is “mainly from coal underground,” while Pock disagreed, saying much of it is the result of leakage from energy sites. The board then voted 3-0 to pass their resolution against Proposition 112. The outcome of their vote had apparently never been in doubt, as the resolution itself stated they were “unanimously” opposed.